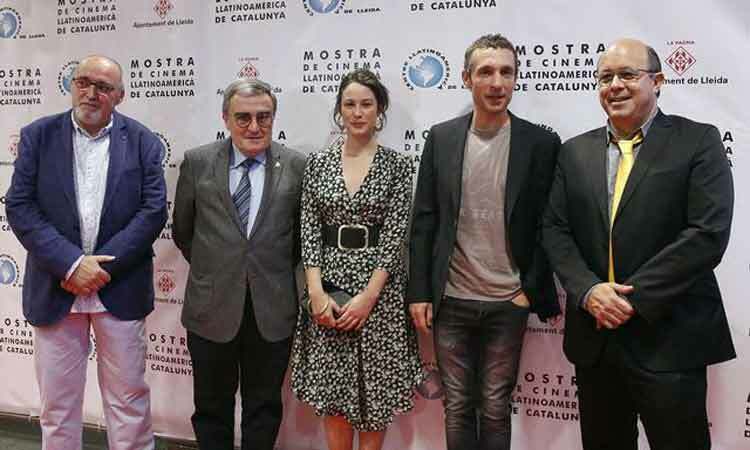 The screening of ‘Vida Privada’, miniseries based on the homonymous novel by the author Josep Maria de Sagarra and directed by Sílvia Munt, has closed the 24th edition of the Latin American Film Festival of Catalonia, held at the Teatre de la Llotja de Lleida. The protagonists, Aida Folch and Pablo Derqui, attended the event. ‘Vida Privada’ is a production shot in different locations in Lleida and Cervera. It had the collaboration of CECAAC, located in the facilities of Magical Media, in Lleida, where the post-production phase of the miniseries took place. The City Council of Lleida also collaborated in the production of the miniseries.